A couple of days ago, I was thinking about blogging as my way of capturing quotes and recipes that I didn’t want to forget. Today, it’s much more than that. I want to document watching a little butterfly in the process of emerging from his cocoon. I love watching Michael’s mind in action. He’s very good about following the step-by-step directions that the Lego company provides. It always amazes me how quickly he can zero in on the minuscule pieces and combine them to construct vehicles and figures. 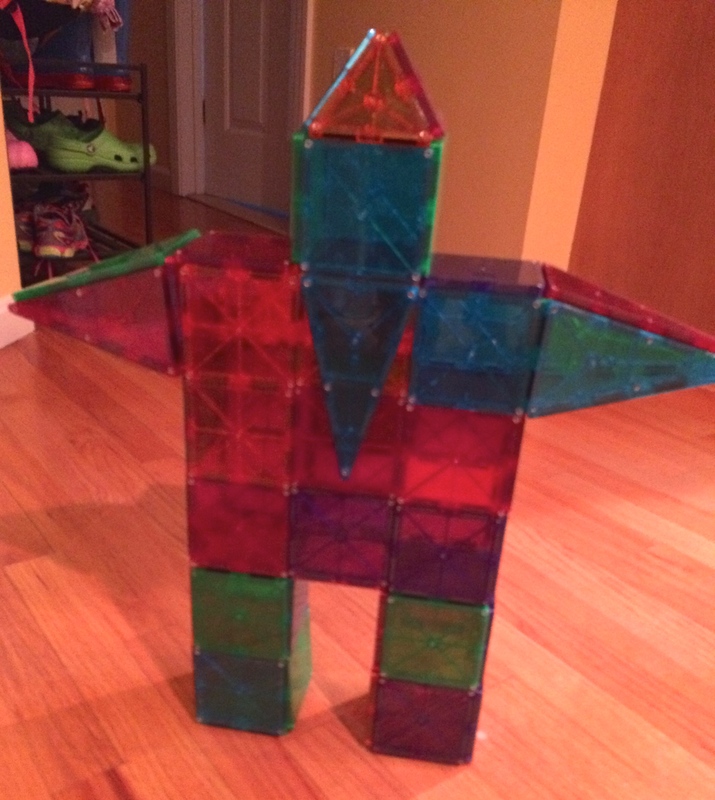 But yesterday, instead of Legos, we pulled out the Magna-Tiles. Can I wax ecstatic for a moment about Magna-Tiles? I bought them for the kids over a year ago because of a rave review that I heard on a program on NPR. When I checked them out on Amazon, the reviews were consistently positive. The only complaint that people had was the cost. They really are expensive, but I’ve found few things that are so worth the money. I was able to watch Michael study a picture and turn it into a three dimensional figure without benefit of step-by-step directions. He’s much better at this than I ever was or ever will be! 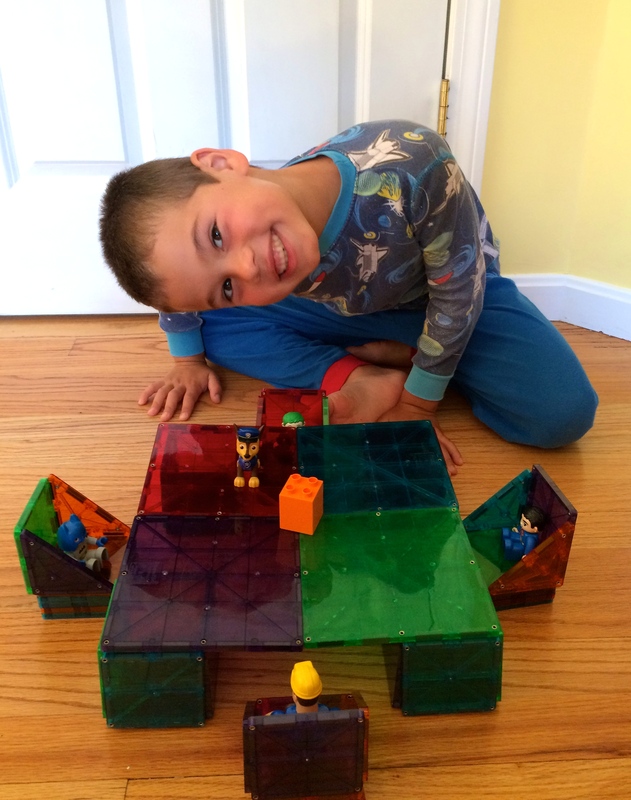 I was just sitting on the floor with him delighting in his progress, and remembering how, when he first worked with Magna Tiles, he was happy to make a box. Now he’s deftly creating rocket ships. My favorite part is watching him adapt a structure to suit his needs. Chairs were too short to allow his Lego figures to reach a table top, so he added tiles one at a time to reach the height he found appropriate. He and I were both delighted with the whole process!